Nitiyaporn Srisalai was found hanged in her room at a boarding house near Rajabhat University in Mueang Ratchaburi District, Bangkok Post was among first to report. 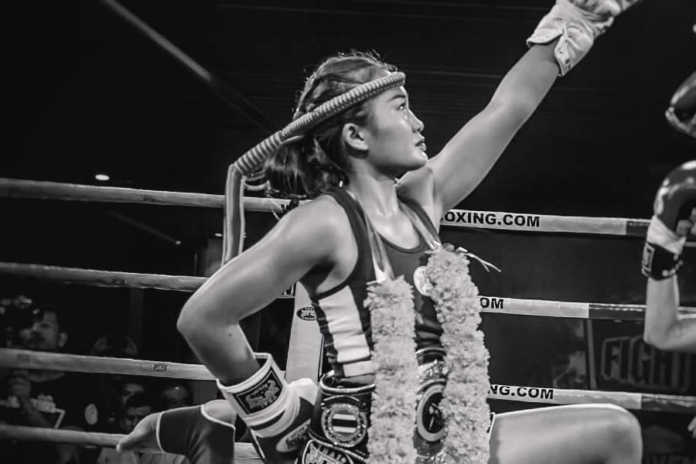 The 22-year-old student was a Muay Thai fighter winning WMO championship at 51 kg class. Police was told that Nitiyaporn was drinking with her friend at 8 pm on Sunday night, before returning to their rooms. The following morning the latter knocked on her door to wake Nitiyaporn up for class, but there was no answer. The body was found after the owner of the boarding house was called in to open the door with a spear key, The Star Online reported. Police reportedly did not find any trace of foul play, but there was a half-finished bottle of whisky in the room. Parents of Nitiyaporn suspect it was murder, saying a rope mark on her neck is too low, Bangkok Post reported Wednesday. “On behalf of the World Muaythai Organization (WMO) we would like to express our greatest condolences to our female Champion, Hongkaw mor.Ratjaphatmoobanchombueng WMO 51kg. We pray for her family and loved ones at this most tragic time. R.I.P ??? ?????? [sic],” the organization posted on Facebook. Nitiyaporn Srisalai was a fourth-year student at Rajabhat University. She competed under alias as Hong Khao of Rajabhat Moo Ban Jom Bueng.